Two out of 10 U.S. citizens will be seniors in a little more than two decades. Seniors already account for 14 percent of the population. Aging brings physical, mental and financial concerns. The United States is seeing an elder population explosion. Seniors are the fastest-growing segment, with more than 10,000 people turning 65 every day in the U.S., and are expected to number 98.2 million by 2060. The fastest-growing demographic in the U.S. is women over the age of 85. Compared to other age groups, older people tend to take more medication, visit more physicians and rely on relatives for daily assistance. Adults 65 and older made up just over 14 percent of the U.S. population in 2013, and are forecast to be nearly 22 percent by 2040. The number of people aged 85 and older is expected to triple from 6 million in 2013 to 14.6 million in 2040. At the same time, research has shown that one in seven Americans aged 71 or older has some type of dementia. Adults face an array of challenges as they turn 65 and grow older. Successfully navigating those challenges, becoming educated and forcefully advocating for themselves are imperative at this stage in life. Longer lives can pose financial problems in an era with few traditional pensions. Seniors with defined contribution plans like 401(k)s risk outliving their assets. And longer lives mean longer periods on retirement income. Seniors use more prescription drugs than any other age group, see more doctors and depend on family members for care. Drugs and the aging process affect older people’s physical and cognitive functions, while they also fall victim to ageism in every environment, including from health care providers, who consequently may not meet seniors’ true needs. Even though almost everyone hopes to grow old, ageism is pervasive. A study of public Facebook groups that concentrated on older people revealed that the descriptions of the vast majority of these groups focused on negative age stereotypes, with 37 percent advocating banning older people from public spaces and activities, such as driving, and 27 percent infantilizing them. A whopping 74 percent were seen as vilifying older people. As damaging as social attitudes can be, ageism takes on life-threatening implications in the medical environment. Doctors and other medical professionals may misinterpret seniors' reactions to pharmaceuticals. Older people’s reactions to medications or symptoms of disease can be misread by health care providers as dementia, leading to wrong diagnoses and missed opportunities for treatments. These very real issues, and their impact on seniors can be seen through the experiences of patients. One doctor reported, for example, about caring for a patient who was an attorney in her 70s who had a brain tumor that grew slowly and interfered with her speech. She was “written off as having dementia until an MRI was performed to explore the reason for new left-eye blindness,” Dr. Val Jones wrote. A report by the Alliance for Aging Research gave the example of a woman referred to as “Mrs. G.” At 82, Mrs. G lived alone in Arkansas, drove herself around and worked at a hospital three days a week. One day, she fell in her home and hit her head. Her family was told at the hospital that she may have Parkinson’s disease, and doctors prescribed medication to treat the disease. Her condition briefly improved, but then deteriorated quickly. Forced to use a wheelchair, she would stiffen if she tried to stand and often felt as if she was falling. Medical providers at the hospital increased her medications. She was placed in a rehabilitation facility, lost her lucidity and often hallucinated. Her daughter was not allowed to question doctors about her treatment, but a nurse recommended a geriatric specialist at a different hospital. The specialist took Mrs. G. under his care and had her moved from the rehabilitation hospital. He concluded she didn’t have Parkinson’s and had her taken off the medication. Testing showed the drugs had caused a series of strokes that irreversibly damaged her brain. She was not expected to fully recover. These stories show the profound consequences of ageism in healthcare. Seniors are regarded as nearing the end of their lives with smaller chances of recovery than younger patients, and can be denied appropriate care. Ageism can combine with sexism in healthcare, as women are more likely to be seen as too fragile to undergo aggressive treatment. And researchers say even though they use the most prescription drugs, older people are consistently excluded from clinical drug trials. This is in spite of the fact that they metabolize drugs differently. Seniors’ own ageist attitudes about themselves can also have a damaging effect. They will fail to tell their doctors about health issues because they believe the symptoms can be attributed to their age. Seniors need to be aware about ageism in health care, and to advocate for their own quality care. But most assistance for older people is provided by non-paid caregivers, like family and friends who help them eat, bathe, shop, and clean their homes. The numbers tell a story of an exploding need that could overwhelm if not addressed. According to government statistics, nearly 18 million Americans care for a chronically ill, disabled, or elderly family member or friend in the home during any given year. That’s almost 8 percent of the population aged 20 and over. The median number of years family members provide care is five. Researchers expect the proportion of people aged 80 and over needing intensive support from family caregivers to rise from 27 percent in 2012 to 37 percent in 2050. About 62 percent of caregivers are women and 50 percent are between the ages of 45 and 64. They provide an average of 75 hours of support each month. More than half spend more than 40 hours a week caring for loved ones. And half of informal caregivers work full-time jobs. A committee that studied the issue for the National Academies of Sciences, Engineering and Medicine concluded that little action has been taken to prepare the health care and social services system for the coming demographic shift and increased need. Moreover, the committee found that while the need for family caregivers is increasing at a fast pace, the number of potential family caregivers is shrinking due to trends such as lower fertility, higher rates of childlessness and increases in divorces and the number of people who never marry. Consequently, older adults will have fewer family members to care for them, and more are likely to be single and living alone and may live farther distances from their offspring. 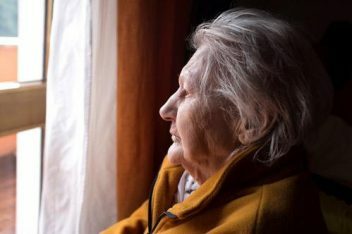 In New York state alone, 4 million people are providing unpaid care for a loved one, according to a joint report by the American Association of Retired Persons and the New York State Caregiving and Respite Association. The typical caregiver in New York is a 64-year-old woman caring for her mother more than 40 hours a week. But the National Academies report found that family caregivers are marginalized or ignored by the health care system, excluded from treatment and planning decisions, but taken for granted by providers who expect them to perform tasks for the patient. So Medicare and other insurance companies provide financial incentives for shorter hospital stays, with the assumption that family caregivers will take over at home, although they are usually given little or no information or training for their roles. The committee found that family caregivers are at increased risk of depressive symptoms, anxiety, stress, and emotional problems. The committee found evidence, too, that family caregivers have lower physical well-being, elevated stress hormones, and more chronic disease. They are less likely to take steps to prevent health problems in themselves. They further risk damage to their finances because of the time spent caring for their family members. According to one examination, lost productivity due to caregiving may cost businesses more than $33 billion annually. On the flip side, some family caregivers say the experience has positive results, including giving them confidence, teaching how to deal with difficult situations, bringing them closer to their loved ones, and giving them peace of mind in their loved ones’ care. The cost isn’t just personal, and it extends beyond the affected family members. One study found businesses lose up to $33.6 billion a year in worker productivity due to employees’ caregiving obligations. Nearly two thirds of older people rely exclusively on informal care – another 30 percent use both paid and unpaid care. Another 30 percent use both paid and unpaid care. Officials say demographic trends strongly demonstrate the need to increase the number of paid caregivers to provide support for older people. At the same time, researchers are forecasting shortages of elderly caregivers and health care providers because of the aging population. Kaiser Health News reports acute shortages of home health aides and nursing assistants around are already occurring in the U.S., threatening availability of badly needed care for seniors and the disabled. Thousands of patients were denied admission to nursing facilities in Wisconsin and Minnesota because of the shortage of staff, according to the report. Caring for an elderly, disabled or sick, loved one can be an isolating experience. It’s often hard to know where to start and how to find help, especially if your nerves are frayed and you’re exhausted. Friends and family can pitch in, but there are other options that may be of assistance. If you want to find services available in your area for older people and their families, one option is an eldercare locator offered by the U.S. Department of Health and Human Services. The tool allows people to search in any zip code or city for providers in a long list of areas, ranging from adult day programs to volunteerism. It also links to resources for behavioral health, elder abuse prevention and in-home services. Just enter a zip code or a city and it will show the resources in those areas. The eldercare locator offered by the U.S. Department of Health and Human Services allows people to enter a zip code or a city to find the resources in those areas. For more general information, there are fact sheets on advance care planning on topics ranging from serious illness to advanced cancer to dementia, hospice and palliative care. The fact sheets are summaries of information on the areas covered. In advance care planning, for example, guidance is available regarding discussions with doctors about what life sustaining treatment a patient would receive and links to further resources, including the Centers for Disease Control’s Advance Care Planning basic information and the National Institute on Aging. A hospice care fact sheet gives information about what hospice care includes and links to hospice care resources. And a fact sheet for caregivers helps explain caregiver responsibilities and suggestions for getting help. And if you want to know about financial assistance, the National Council on Aging has a tool to check available benefit programs. There you can enter your zip code, your month and year of birth and whether you are a veteran. Then you can ask for information on the availability of programs in areas including medication, health care, income assistance, food, tax relief, transportation and housing. The Administration on Aging, part of the U.S. Department of Health, has information to assist in long-term care planning. 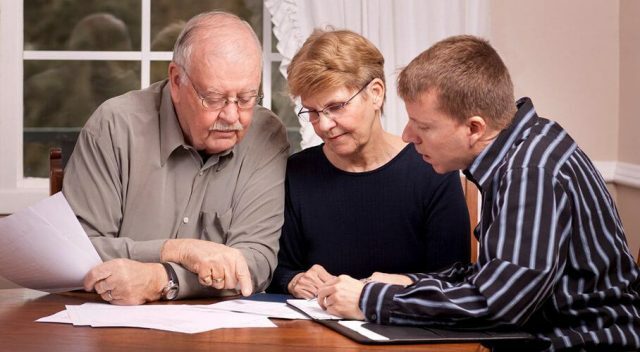 Among the available advice is guidance about living wills and powers of attorney to ensure that patients’ wishes are known and followed. The agency recommends communicating openly with family and other health care providers so everything is clearly known about the kinds of care that are desired. The American Association of Retired Persons has guidance for caregivers on topics ranging from finding nursing facilities to meeting transportation needs of the elderly. The organization offers tips for first-time caregivers, including how to broach difficult conversations, making sure financial discussions are thorough, and listening to and respecting the loved one’s desires. AARP also advises involving as many helpers among family and friends as possible, while making sure someone is in charge to keep everyone on the same page. When seniors lack social support, they’re at increased risk of becoming victims of abuse, according to the National Center on Elder Abuse. An estimated 10 percent of Americans aged 60 and older have experienced some form of abuse. And abused seniors are more dependent on caregivers, who then suffer physically, mentally, and financially as a result. One out of every 10 senior citizens in the U.S. has experienced abuse of some form. There are several forms of elder abuse, including physical, sexual, and emotional abuse, as well as neglect and abandonment. Those with dementia are at particular risk of abuse because of their reductions in memory, reduced ability to communicate, and impaired judgment. They may not even remember they’ve been abused. Nearly half of people age 85 and older have Alzheimer’s disease or another kind of dementia. More than 5 million people over 65 have dementia of some form. Various studies have estimated rates of abuse among people with dementia ranging from 27.5 to 55 percent. Experts say older people who have been victims of even modest abuse have a 300 percent higher risk of death than those who have not been abused. And researchers found that older women who have been subject to just verbal abuse have greater declines in their mental health than women who experienced only physical abuse. Financial abuse of the elderly costs Americans more than $2.6 billion a year. Some experts believe the growing elderly population, coupled with the little-regulated home health care worker industry, is a recipe for increased abuse. Just half of states require training for home health care workers, while only 15 states require the agencies to perform in-home reviews. Although most states require criminal background checks of home health care workers, agencies are not required to check records from other states. 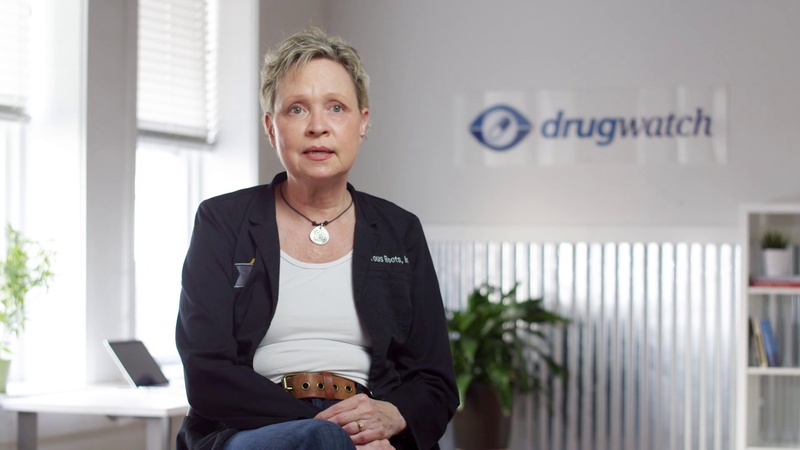 According to the AARP, a 2012 study revealed that less than a third of agencies drug screened their employees and only 16 percent tested for knowledge about the work. To the contrary, home health care workers are paid barely more than minimum wage — a median of $10.11 an hour — and consequently, the profession sees high turnover. According to the Paraprofessional Healthcare Institute, 89 percent of home care workers are female. The average age is 45 and a median annual income is $13,300. The home care workforce has doubled to about 2.2 million in the last decade. Home care workers rarely receive employer-provided health care benefits of their own. A quarter of home health care workers live below the federal poverty line and more than half rely on some form of public assistance. More than half of home care workers are people of color, who make up a quarter of the entire workforce. More than a quarter of home care workers are immigrants. More than half have not completed formal education after high school. Aging presents challenges for proper nutrition, including changes in the sense of taste and smell that can occur with medication, as well as gum disease, infections in the mouth and issues with dentures. Cancer treatments can also affect the senses of taste and smell. Otherwise harmless polyps in the nasal passages can also affect the sense of smell. Losing the sense of smell can be the sign of a serious disorder, such as Parkinson’s disease or Alzheimer’s, and should be reported to the doctor, who may suggest a specialist called an otolaryngologist. People who have lost some of their ability to taste and smell may not eat enough to receive needed protein, carbohydrates, vitamins and minerals. They also may suffer from social isolation. How do nutritional needs change with age? Experts recommend adding interest to food through the use of colors, textures and spices. Brightly colored vegetables like sweet potatoes, broccoli, tomatoes and carrots can make food more enjoyable. When the diet allows, food can be enhanced with a small amount of butter, olive oil, nuts, fresh herbs and cheese. Mustard, hot peppers, onions, garlic, and ginger can also spice things up. More than any other age group, seniors depend on prescription drugs for their daily survival. When they use them, they’re likely to use multiple different drugs. 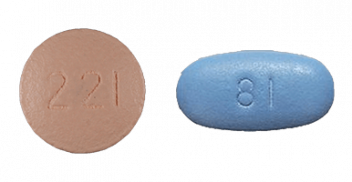 Often, they’re prescribed by more than one physician. And their bodies process drugs differently. One example of that is many older people have impairment in the operation of their kidneys and liver function, particularly after the age of 75, which can affect drug absorption and can alter blood levels of drugs. They also have changing metabolism, which can lead to unanticipated drug issues. Moreover, aging leads to a decrease in the water and lean mass in the body, accompanied by an increase in body fat. This affects how certain drugs are distributed in the body. People 65 and older may be just about 13 percent of the population, but they account for a third of the money spent on prescription drugs in the U.S. Officials estimate that 20 percent of Medicare patients have five or more chronic conditions and half use five or more medications. In fact, 87 percent to 90 percent of seniors 65 and older say they regularly take prescription drugs, compared to 67 percent of people aged 50 to 64. And on average, those who report regularly taking prescription drugs say they use an average of four different prescriptions each day. In one survey, more than 12 percent used 10 prescriptions or more weekly. Perhaps even more alarming, a recent study found that the number of older Americans who take three or more brain-affecting medications has more than doubled in a decade. The biggest increase was found in rural areas where the rate of doctor visits more than tripled among seniors taking combinations of drugs such as opioids, anti-depressants, tranquilizers and anti-psychotics. Although the numbers may seem minuscule on a percentage basis, they represent significant populations of seniors. So in 2004, 0.6 percent of doctor visits by people over the age of 65 involved three or more central nervous system-affecting drugs. By 2014, that ratio was 1.4 percent. Applying that to the entire U.S. senior population, older adults made 3.68 million doctor visits a year related to their taking three or more brain-affecting drugs. “The rise we saw in these data may reflect the increased willingness of seniors to seek help and accept medication for mental health conditions — but it’s also concerning because of the risks of combining these medications,” said Donovan Maust, the study’s lead author and a geriatric psychiatrist at Michigan Medicine, the U-M academic medical center. Half the time, according to the study, these drugs were prescribed in the absence of formal diagnoses justifying the drugs’ use. In general, prescription drug side effects can be mistaken for distinct medical problems, leading to more prescriptions and more issues, something the medical community refers to as a cascading effect. Among common drug-related problems in the elderly are drug ineffectiveness, overdoses, under dosage, drug interactions, and adverse drug effects, such as confusion, hallucinations, falls, bleeding and over sedation. 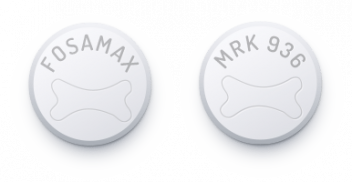 The use of multiple prescription drugs is considered a risk factor for hip fractures among seniors. 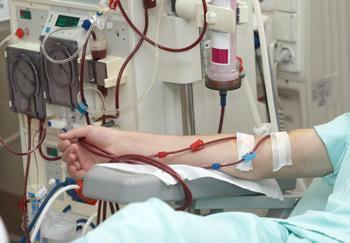 Renal failure, gastrointestinal and intracranial bleeding can result in death. 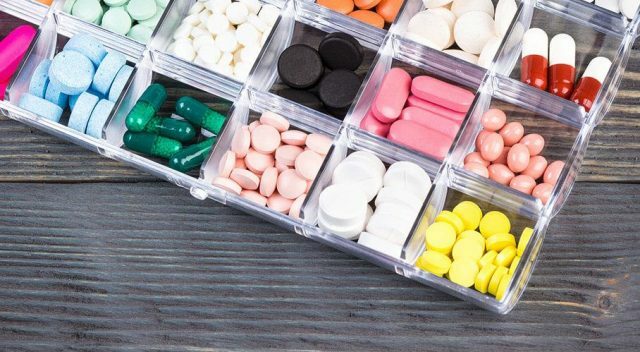 In fact, adverse drug reactions cause 100,000 deaths in the United States annually, making them the fourth leading cause of death, ahead of pulmonary disease, diabetes, AIDS, pneumonia, accidents, and automobile deaths. According to the U.S. Food and Drug Administration, nursing home patients alone experience 350,000 adverse drug reactions each year. Experts say 30 percent of elderly patients’ hospital admissions may be linked to problems with drugs or their toxic effects. One study of Medicare patients found more than 27 percent of adverse drug events to be preventable. And more than 42 percent of serious, life threatening and fatal events were preventable. The three most common categories of preventable events happened in the areas of prescribing, monitoring, and patient adherence. Among the preventable problems associated with prescription drugs and seniors are depression, constipation, falls, confusion, hip fractures and hindered mobility. Prescriptions drugs can lead to a decline in mental acuity, which in turn can cause seniors to improperly use their medications. In addition, seniors are likely to have more than one illness at the same time, as well as different ways and rates of metabolizing drugs because of how age changes the body. Seniors often see more than one doctor, and these different doctors don’t necessarily communicate with each other about prescriptions. All of this means seniors are at high risk for drug toxicity, a condition that occurs when drugs accumulate in the bloodstream, creating adverse effects. According to AARP, even though the connection between aging and drug toxicity is well-established, doctors sometimes wrongly attribute symptoms to new medical conditions. Physicians and other health care providers sometimes misdiagnose seniors' symptoms and incorrectly determine they have a new physical problem, according to the AARP. “There is a tendency for physicians to prescribe a medication for every symptom, and not every symptom requires a medication,” Raji said. This tendency adds to the problem, as more medications mean more probability for drug toxicity. Three classes of drugs are responsible for nearly half of adverse drug events that cause seniors to visit emergency rooms. 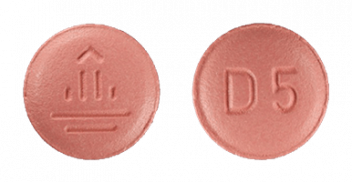 Anticoagulants, such as warfarin, aspirin and clopidogrel. Diabetes treatments, such as insulin, metformin, glyburide and glipizide. 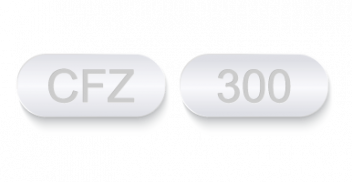 Narrow therapeutic index drugs, which are agents for which small changes in concentration can significantly change the response. The drugs that cause the most preventable adverse events leading to hospital admissions are antithrombotic and antidiabetic medications, diuretics, and nonsteroidal anti-inflammatory medications. Other drugs commonly involved in adverse incidents include antidepressants, sedative hypnotics, and antipsychotics, which can lead to symptoms that resemble Parkinson’s disease. 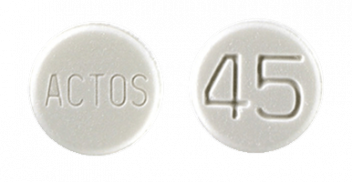 A class of drugs prescribed for dementia, cholinesterase inhibitors, may cause diarrhea or incontinence. Vaccines are an important part of health care for adults over the age of 50 years. About 45,000 adults die each year from complications of diseases that a vaccine may have prevented. There are many reasons why seniors might avoid getting vaccinated. They may not feel like it’s necessary to receive certain vaccines, or they may not know which vaccines to get. They may also have concerns about possible complications from the vaccine itself. But serious side effects of vaccines are rare. Instead, seniors are at greater risk of suffering from complications due to illnesses. These complications can lead to long-term disability, hospitalization and death. Childhood vaccines can wear off over time leaving a previously vaccinated person unprotected. As people age, their immune systems weaken as well. This can leave them vulnerable to serious illnesses, including vaccine-preventable diseases. Seniors are especially susceptible to the flu, pneumonia and shingles. Shingles is a reappearance of the virus varicella zoster that also causes chickenpox. The disease is characterized by a painful rash that can blister. If the rash surfaces on the face, it can affect vision and hearing. There is no cure for shingles. But a vaccine is available that may prevent the virus or lessen its effects. Aging adults may also have a harder time fighting off infections. Seniors are at an increased risk of being infected by Pneumococcus. This is a type of bacteria that can cause serious lung infections, such as pneumonia. 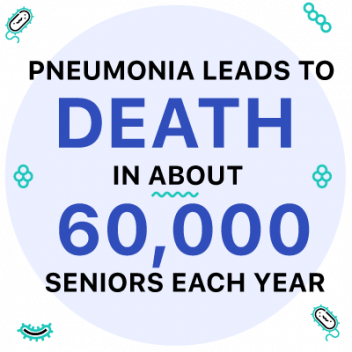 Pneumonia leads to death in about 60,000 seniors each year. The CDC recommends adults 65 and older get two doses of the pneumococcal vaccine. This updated recommendation followed the results of a large clinical study. The New England Journal of Medicine published the study in March 2015. Serious infections caused by Pneumococcus bacterium can affect the blood stream (sepsis) and the tissues covering the brain and spinal cord (meningitis). Other organs and tissues may be affected as well. The flu is another vaccine-preventable illness that can cause serious complications in seniors. Seniors who suffer from the seasonal flu are at a greater risk of hospitalizations and death, according to research. A six-year study conducted from 2005 to 2011, found that between 71 to 85 percent of seniors died from flu-related complications. Another 54 to 70 percent of seniors were hospitalized. Seniors and older adults with certain health conditions may need additional vaccines. Health conditions that can further complicate vaccine-preventable diseases include diabetes and heart disease. Patients should speak with their doctor about whether their health conditions make them more vulnerable to certain illnesses. In some cases, they may be able to better protect themselves with certain vaccines. A person’s job, lifestyle or travel may also influence recommended vaccines within this age group. While modern medicine has provided advancements that have prolonged lives and improved the quality of life for many, there are problems associated with some drugs and medical devices. Older adults are especially vulnerable to these issues. These problems can amplify each other and create a troubling cycle. With aging comes physical effects, including disease and declines in thinking, understanding and perception. Age increases the risk of conditions like osteoarthritis, which can lead to hip and knee replacement surgery. 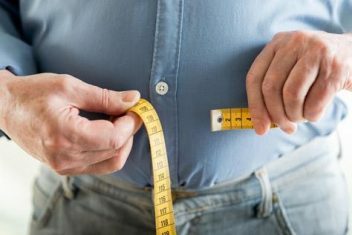 Another disease that becomes more common with age is Type 2 diabetes, which is often treated with medications, some of which are safer than others. There are diseases that disproportionately affect older patients, and some drugs work differently in their bodies. There are diseases which require certain treatments in middle-aged patients that may not be necessary or appropriate for older people. And there are side effects that pose more serious dangers for older people than for younger patients. When these treatments go wrong, they can have a profound effect on patients’ lives. With so many issues affecting seniors’ healthcare — from metabolism to the use of multiple drugs, to differing drug reactions — and knowing many problems are preventable, particular attention needs to be paid to the drugs and medical devices doctors prescribe and use for their older patients. Has potential side effects including blurred vision, heart failure, lactic acidosis, bone fractures and bladder cancer in some patients. Additionally, insulin overdosing is a common problem in diabetes patients that can lead to hospitalization. The drug is believed to work particularly well in older people, but they are advised to watch carefully for signs of heart failure, including shortness of breath, sudden weight gain or swelling in legs, ankles and feet. 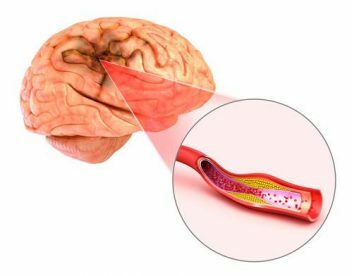 Has several potential side effects, including heart attacks, congestive heart failure, edema, breathing problems, accelerated heartbeat, eye or skin yellowing, dark urine, nausea, pain in the abdomen, problems with vision, and fractures. 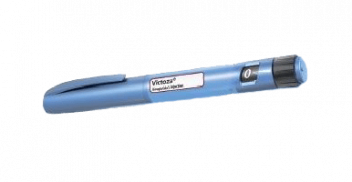 Injectable drug pens that signal the pancreas to make more insulin. Potential side effects include pancreatitits, pancreatic or thyroid cancer, and kidney damage. Part of a group called incretin therapies which work by signaling the pancreas to make more insulin and the liver to decrease the amount of sugar. Potential side effects include pancreatitis, pancreatic cancer, ketoacidosis, and kidney problems. Part of a class called sodium-glucose cotransporter 2 inhibitors, which work by preventing glucose from being reabsorbed into the blood. Potential side effects include urinary tract and yeast infections, kidney problems, and ketoacidosis, a condition involving a dangerous increase in blood acids called ketones. A drug which may increase the risk of pancreatitis and pancreatic cancer. 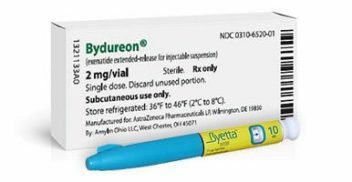 A treatment that works by stimulating insulin production. Some studies link the drug to pancreatitis, and thyroid and pancreatic cancer. 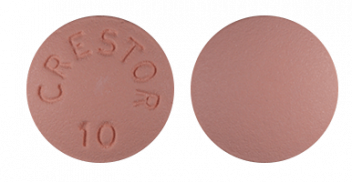 A popular statin prescribed to lower levels of “bad” cholesterol to eliminate the buildup of cholesterol in the arteries, which can obstruct blood flow. Potential negative effects include deterioration of muscles, type 2 diabetes, memory loss, cardiomyopathy, kidney and liver damage, organ failure, heart problems, and death. 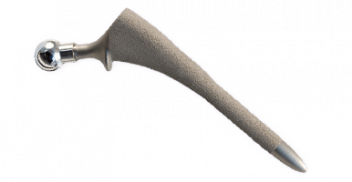 Used to treat osteoporosis by slowing the body’s process of breaking down bone. Potential complications include osteonecrosis (bone death) of the jaw (ONJ), irregular heartbeat, ulcers in the esophagus, inflammation, and joint and muscle pain. 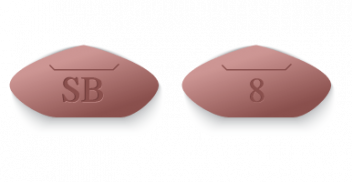 A blood thinner given to reduce the risk of stroke and blood clots. Potential problems include uncontrolled bleeding, internal bleeding, liver problems, and death. Hip replacements are performed more than 450,000 times annually, helping patients’ mobility and reducing or eliminating pain. 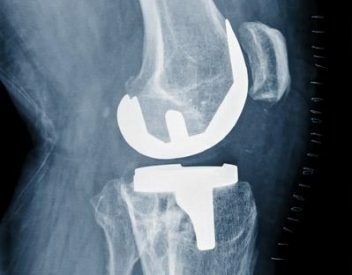 However, some makers, including DePuy, Stryker, Zimmer, Smith and Nephew, Biomet and Wright Medical, have faced accusations some of their implants have caused problems, such as parts that came loose, bone fractures, dislocations, and improper alignment. Some implants’ metal parts release toxic ions when they rub against each other. Knee replacements were used 5.2 million times between 2000 and 2010. 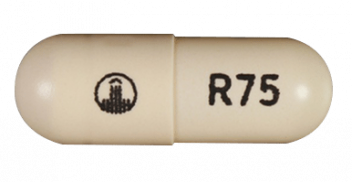 They can help relieve pain from osteoarthritis and joint trauma. Some companies have been accused of marketing problematic implants. They are Zimmer, DePuy and Nephew, Stryker and Biomet. A net-like implant used in treating pelvic organ prolapse and stress urinary incontinence in women. 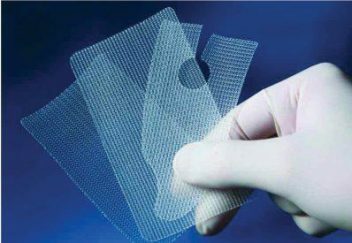 Because of its association with serious complications, such as organ perforation, the device is classified by the FDA as high risk.